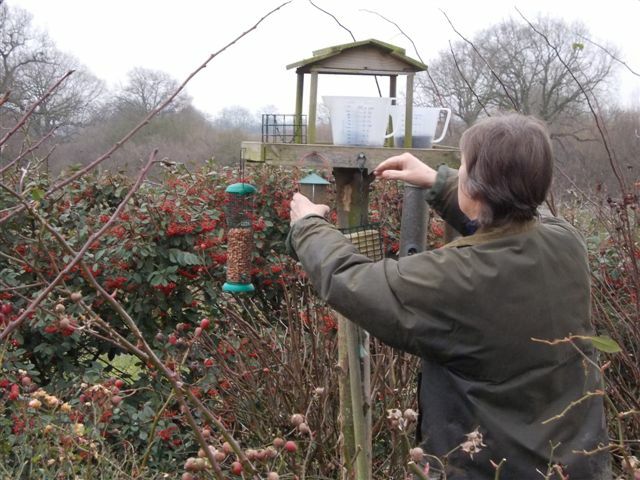 Gardens are now the most important places during the winter months for birds to find that extra bit of food to keep them alive and well and get them through these cold, damp and frosty periods. Bird tables don’t take a lot of effort to make, either by yourself or your partner. It is amazing how much we can learn from the behaviour of all these birds, they have their own likes and dislikes. Once spring arrives then these little birds repay us by clearing up all sort of niggly problems such as aphids and caterpillars eating those things we have just planted or are nearly ready to harvest.